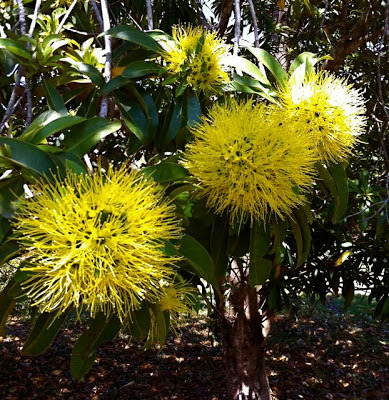 The street where I live is named after this beautiful tree – the Golden Penda which was recently in all of it’s flowering glory after a particularly wet summer – it does best in the sub-tropics. For all of you who have an aversion to ‘proper’ names for plants I might tempt you by telling you that it often holds the key to a beautiful description of the plant. Take the Golden Penda Xanthostemon chrysanthus – which is Greek for golden flower with yellow stamens (xanthos – yellow, stemon – stamens, chrysos – golden, anthos – flower)*. Having a love of plants takes you to all sorts of unexpected and interesting places – which leads me to these strange creatures that I found on a branch of the Golden Penda. WHAT ARE THEY? 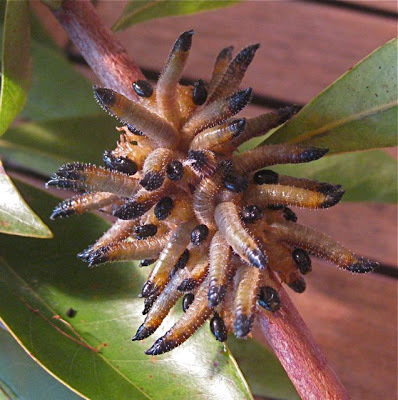 The larval stage of a Perga species – otherwise known as sawflies – Aussie children know them as ‘spitfires’ because when aroused (as in the above photo) they raise up their rear ends and spit a yellowish liquid. As they are generally found on eucalypts this can sting if it gets you in the eye. This also tells me that the Golden Penda must come from the same general family as eucalypts (Myrtaceae) for these creatures to have set up home on it’s branches. The eggs of this sawfly are deposited in slits in the leaves. After hatching, the larvae remain in the same group, during the day, spread out over the tree to feed at night, re-assemble for the next day, and so on. They leave the tree when fully fed and pupate in the soil emerging as adults – which is kind of wasp like. The larvae really only do lasting damage to young trees and you would manage this by just pruning off the affected branch, mowing it up, and putting it in the compost! 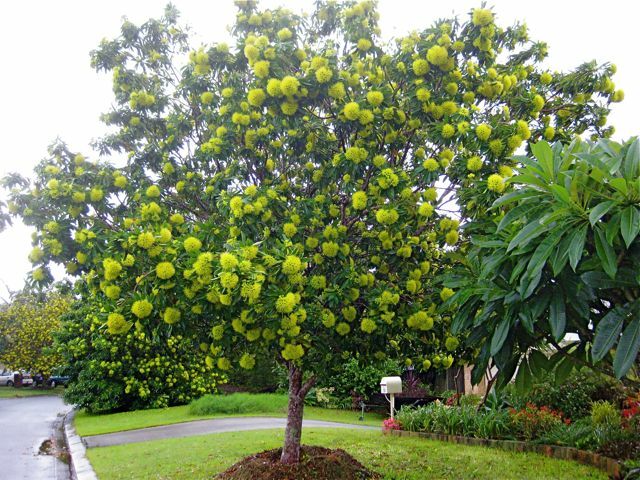 WHERE AND HOW TO GROW IT The Golden Penda is an Australian tree originating in the forests of south-east Queensland and is ideally suited to the sub-tropics (I never saw one in Sydney – too cold, not wet enough?). It makes an ideal specimen or street tree which gets to about 5-7m. It is has a compact, rounded canopy that really loves a good prune every now and again – other wise the branches can get a bit straggly. 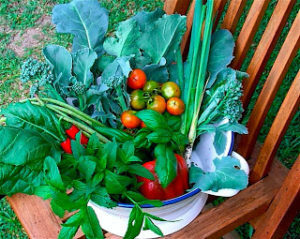 It’s quite drought hardy, but welcomes a good mulch – most of my neighbours just use grass clippings.